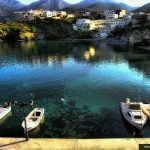 Bali is an attractive fishing village near Rethymnon. With stunning beaches and geranium covered houses with blue doors this is the picture postcard village of Crete. The village of Bali is only now starting to wake up to tourism, but it is still steeped in tradition and thankfully hasn’t modernised too much. The houses in Bali are covered in lovely pink flowers, with the white washed houses creeping down the hillside to the small fishing port at the bottom. The village is hidden in a small cove, between a large peninsula and mountainous range. If your looking for a quiet holiday, then choosing Bali would be ideal. A Bali holiday is great for couples and families alike. As mentioned before Bali has nothing to do with the Indonesian holiday destination and in fact got its name from the Turkish word for honey, the reason being Bali was well known for producing excellent honey in times gone by. 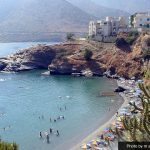 The main beach is a sandy and pebble beach which is well catered for with small Taverna’s and beach bars perched around the side. These beaches never get too busy and are ideal for those who just want to step out of the hotel straight onto the beach. Those who want to explore further afield will find hidden coves with beautiful smaller beaches. If your looking to find traditional Greek restaurants in Bali then you will not be disappointed, the village has a wealth of Greek Tavernas offering up souvlaki, Moussaka and more. 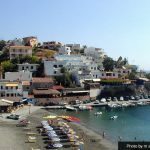 If it’s fresh fish straight from the sea then you wont be disappointed with the fish Taverna’s that are dotted through the village and on the seafront. 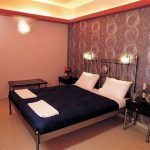 If you want to book a holiday, then its well recommended to search through some of the major tour operators like Thomson Holidays or Thomas Cook, these companies have some lovely villas, studios and apartments in the small village and fly regularly to Crete. 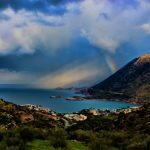 Like many other coastal villages in Crete the landscapes and scenery are breathtaking and there is plenty for the avid walker and explorer to do. 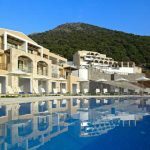 One of the key points of interest for holidaymaker’s in this area is Prodromos Monastery at Agios Ionnis, also the mountain village of Margarites within which you will find the Melidoni Cave. If exploring the mountain villages isn’t for you then try the water sports available in the area, including windsurfing, canoeing and water snorkelling. 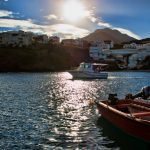 Scuba diving and fishing are always popular in this area and with a bit of local knowledge you can see some amazing underwater sights and catch some large fish including bream and grouper. The best way to explore the rugged countryside and sights in Bali and Rethymnon is to hire a car. Holiday Autos does some very cheap car hire in this area and you can pick it up at Chania airport or at your accommodation.